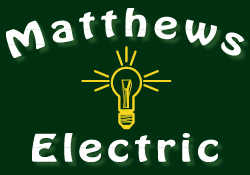 Welcome to our web page on Stupid Electrical Jokes! Stupid Electrical Jokes??? Why would you want a web page about Stupid Electrical Jokes!?! This web page is designed to give you a break from the more “heavy” research you might be doing, as well as to give us a little variety among our web pages about electricity. As you read on, keep in mind that these jokes are intended to be corny. Have fun! How do you pick out a dead battery from a pile of good ones? It’s got no spark!